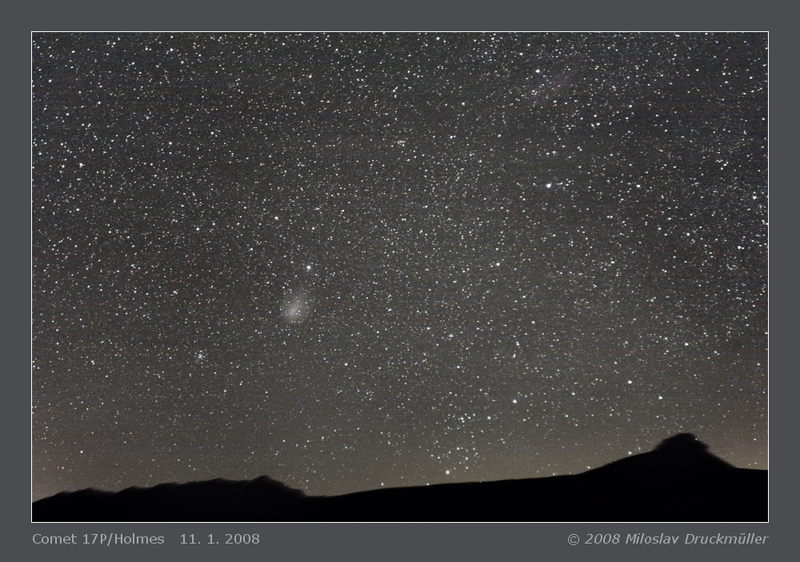 This image of Holmes comet was made in Chile on the southern hemisphere during our two-member mountaineering expedition (me and my wife Zuzana). I had only a small tripod therefore I used only short exposure times (10 s) in order not to blur the image by sky motion. Excellent observing conditions in Andes enabled me to make rather good image even with very limited equipment.